Looking down from the Granville Bridge, this is an east view of False Creek, a short inlet in the heart of Vancouver, British Columbia, Canada. 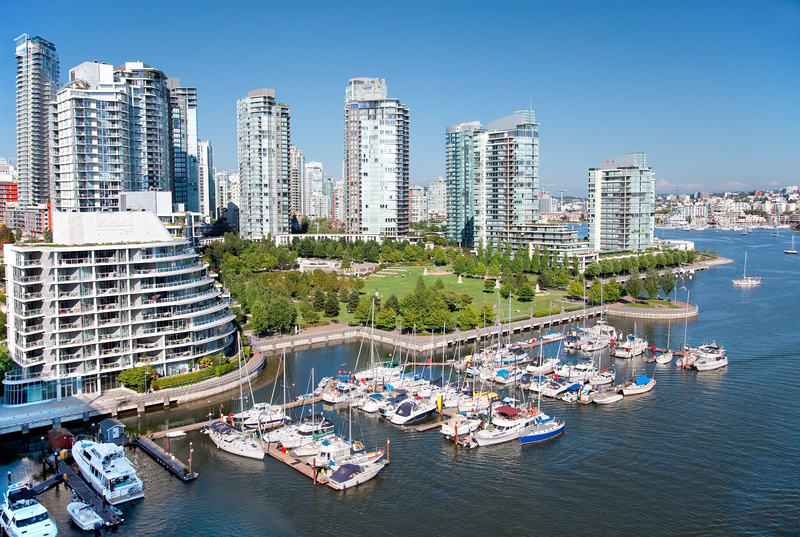 The green area is George Wainborn park surrounded by tall condo buildings, the seaside bicycle route and the marina. False Creek separates downtown for the rest of the city.